I’ve been spending a lot of time the last couple of days reading blogs about President Hinckley. What a wonderful blessing we have in the internet in being able to share our thoughts and feelings about him and the church with so many people. It is so much more personal, so much more uplifting and inspiring, to hear other people’s thoughts on his life, than it is to just read a press release and its accompanying biographical sketch. There was remarkably little about President Hinckley’s death on the main media outside of Utah. I didn’t get a chance to watch the national news yesterday—does anyone know if they actually mentioned it there? I saw some brief headlines on MSN.com and Yahoo, but they were quickly replaced by more breaking news on whether or not Mary Kate Olsen would be interviewed concerning Heath Ledger’s death. Shows you where the rest of the world places their priorities, right? Not that I really blame them. I mean, seriously, if you weren’t a member of the church, you probably wouldn’t have any idea who the mormon prophet was, if he’s not that guy who was arrested for polygamy. Anyway, I have found it to be a fitting tribute to President Hinckley to read the many memorials posted about him. Many of them quote his testimony from his conference addresses, many share their own personal witness of his calling and his effect upon their lives, many express their sadness that he is gone, but their joy that he is reunited with his beloved wife. One began hers with a link to a talk given by Elder M. Russell Ballard (excellent, please read) at BYU-Hawaii at their graduation last December in which he urged us as members of the church to use the internet and our blogs to share our testimonies and information about the church. My favorites are the experiences of those who met him in person, like this essay written forty years ago, and this post by a young man who was a missionary companion of his grandson, and this one, who posted some wonderful, informal pictures. This has been a great reminder of the blessing that technology can be when used correctly. It makes the world a smaller place, as I can share in these deeply personal thoughts and feelings of members of the church on the other side of the world. It’s almost as if we were all in one big room, having a sort of informal wake, sharing our memories of this man who has blessed so many lives. Thank you for your inspiring words about our dear prophet. As you know I DVR the news each night, and his passing was mentioned by the ABC National News with Charles Osgood. I sent you a little video by Glen Beck on President Hinckley’s passing that I think you will enjoy. I sent it to your e-mail. Matt said there was a good piece about him on NPR last night. 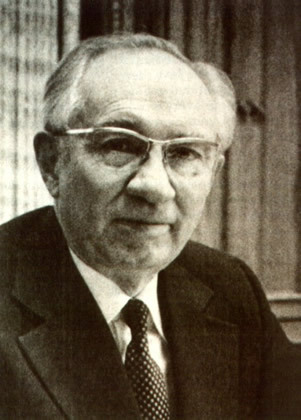 Is it bad that I haven’t posted about President Hinckley on my blog? My problem is that I couldn’t think of anything original to say — everything I read (until you provided those good links) seemed so repetitive. We wil miss him greatly!